After pulling Chip Ahoy out in September, I crawled under the trailer and found the keel in much worse shape than I'd anticipated. 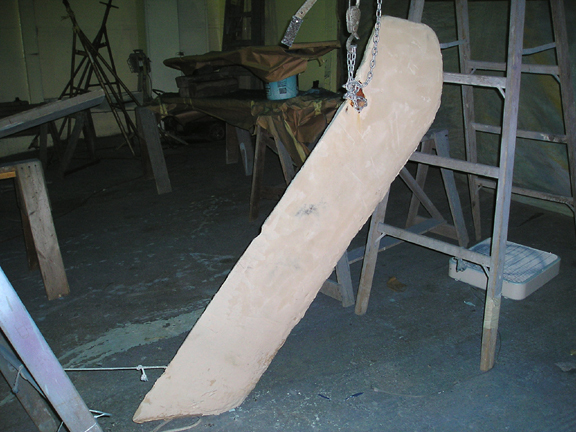 Note the gray discoloration at the bottom of the keel -- the trailing edge when retracted. 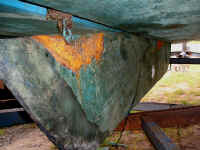 On my mooring, the keel would settle some 4"-6" into the bottom silt at mean low tide. 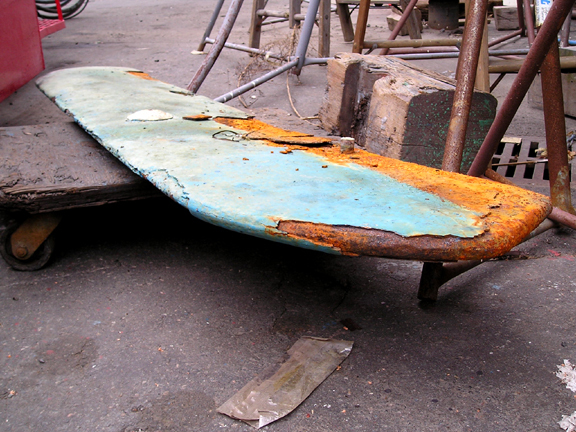 Once I realized it, I started cranking the keel up a few turns each time I moored. 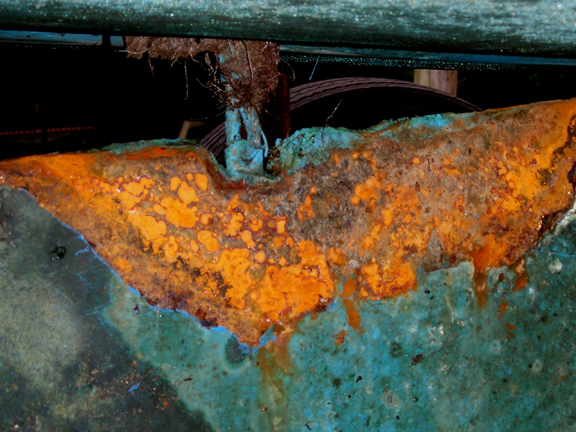 The surface was so bad I was able to pull off hunks of the keel's surface with just my fingers. The keel eye bolt for the cable. The cable itself had begun to fray earlier in the season. I've got a new replacement ready for installation before next season, along with a new turning ball, hose and clamps. 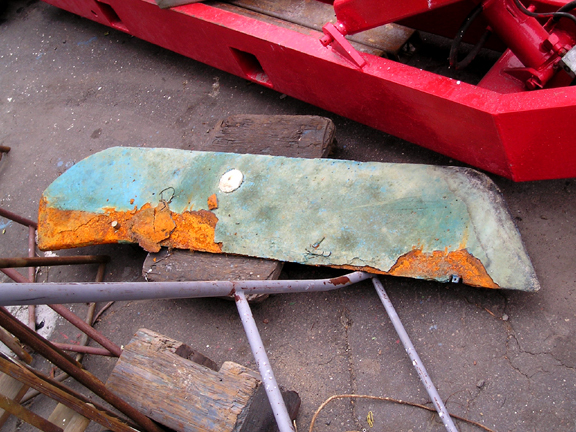 The keel removed at Marblehead Trading Company, the boatyard (Sep. 26, 2003). 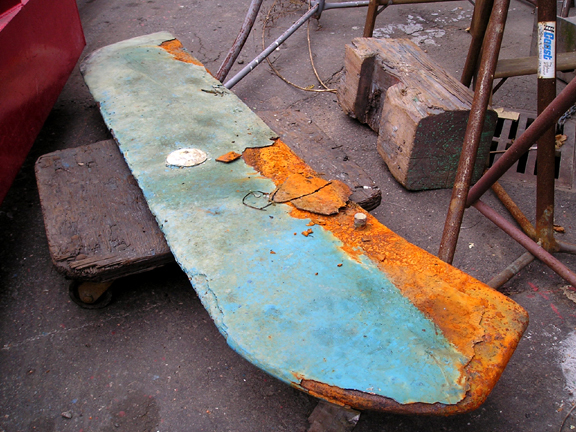 The boatyard will first sandblast the keel down to bare metal, then seal it from further corrosion. 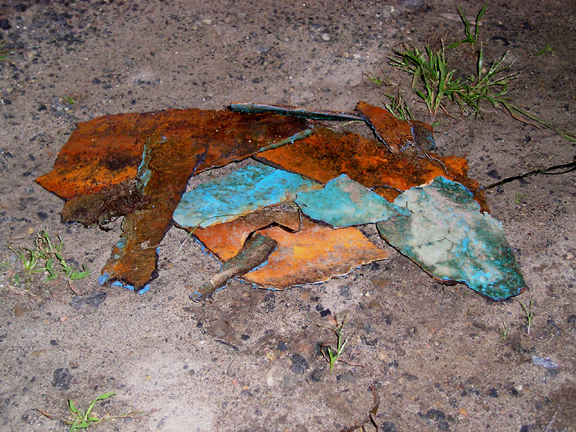 Note the new zinc plate, in the water of Salem Harbor for less that two-and-a-half months and well eaten away. 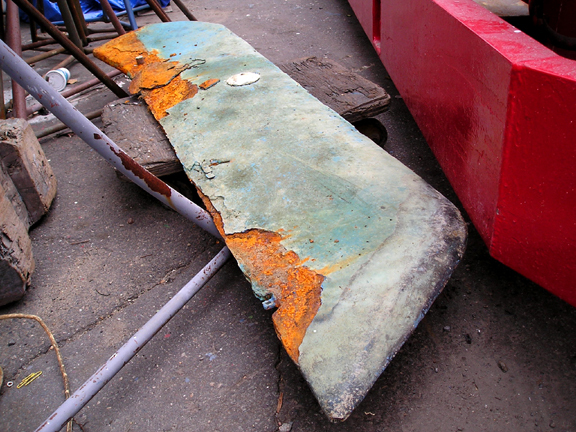 Lots of work ahead to bring this keel back to life. 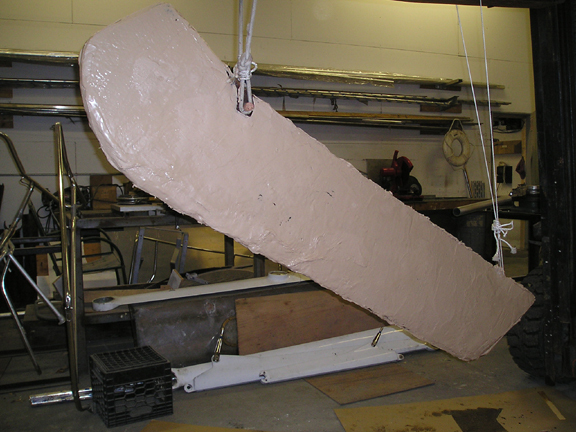 The keel, returned from sandblasting, now hangs in the Fraser Welding shop. Tommy, Marblehead Trading Company's yard manager, got it back yesterday (Nov. 20) and the yard has begun refinishing it with a barrier coat and filler. It's never-ending ... and the best times have ended again for now!